The Heerlijkheid Bridge acts as a gateway, a connection and a sign. It forms the entrance to the new Heerlijkheid park, and providing both a welcoming gesture while integrating security. 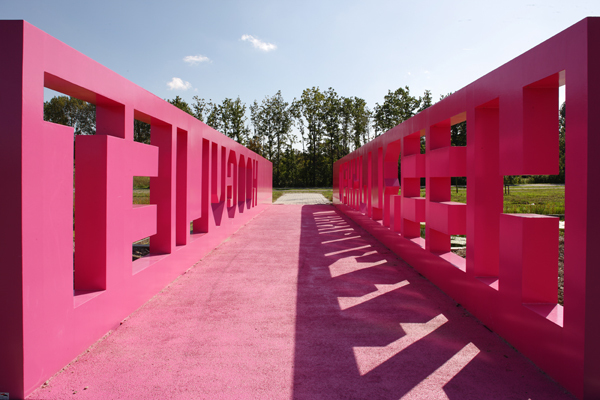 Built from a steel structure, clad in wood the bridge spells out 'Hoogvliet Heerlijkheid' in supergraphic cut outs - a giant sized, walk-through sign.